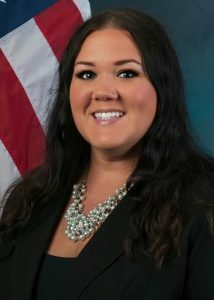 Kristen Juskiewicz served as a Program Analyst for the Forensic Audits and Investigative Service team during her Summer 2017 internship with the U.S. Government Accountability Office (GAO) in Washington, D.C. She was assigned to the federal audit of the Affordable Care Act, specifically an audit of the applicant enrollment and eligibility-verification process for the Federal Health-Insurance Marketplace. The purpose of this audit was to investigate possible fraudulent or improper enrollments for plan year 2015. During the course of her 11-week internship, Ms. Juskiewicz assisted in the qualitative analysis of sample cases, interviews with stakeholders, source documentation and management, and the presentation of initial findings. She co-authored a number of internal reports, which served to document legal background, interviews records, and analysis records. Through this internship, she was able to experience portions of the entire GAO audit process via a shadowing program with team directors and assistant directors. Ms. Juskiewicz also forged a relationship with the GAO Applied Research and Methodology team, and aided them in exploration of Geographic Information Systems (GIS) via R packages.